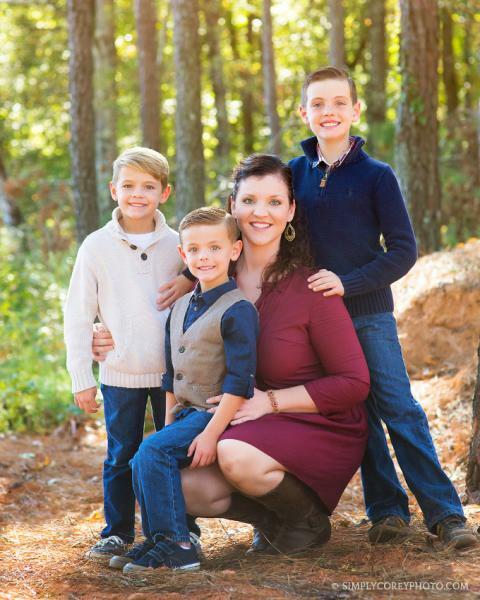 You may remember this awesome mom and her boys from their session I shared last summer. It was so great to see them again in the fall! I think this “boy mom” is awesome. These handsome little guys keep her on her toes but she does such an amazing job keeping up! Simply Corey Photography is located in West Georgia, near Carrollton, Newnan, Douglasville, Villa Rica, and Bremen. I began my photography business in late 2004 and have photographed many babies, children, high school seniors, and families throughout metro Atlanta since then. Custom portrait sessions may take place at my private outdoor location or the location of your choice within greater Atlanta. Locations farther than 30 miles from me will require a small drive fee. Would you like some more information? 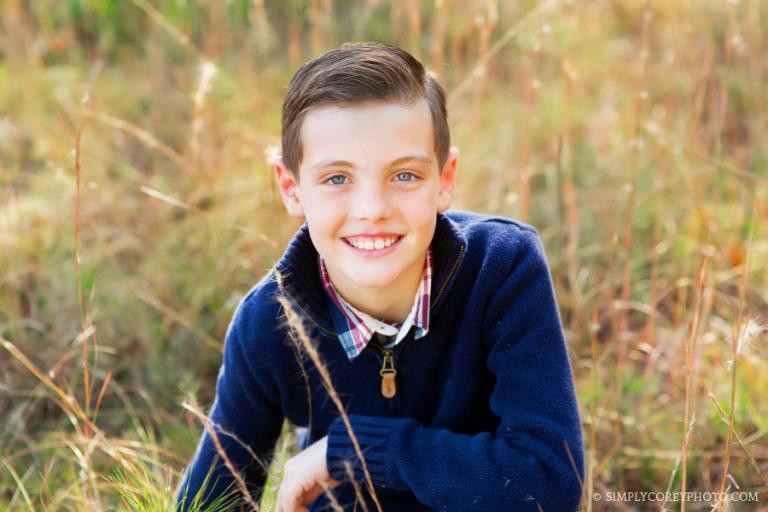 I have put together some information together for family and children’s portrait sessions with Simply Corey Photography, as well as several other types of portrait sessions. Each link provides examples of my work, what to expect, and starting rates. You may request detailed pricing and my availability by sending me an email!